Throughout history, important documents have set events in motion that literally changed and shaped the world we live in today. Some of these documents, although hundreds of years old, have been preserved for their historical value and impact, and serve as timeless reminders for how they changed the world. 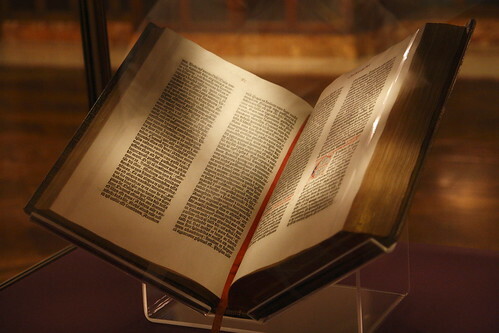 Printed by Johannes Gutenberg in the 1450s, the Gutenberg bible was the first major book to be produced by a printing press. Dozens of incomplete and complete copies are housed in museums today, and they are still seen as ushering in the printing press revolution, which led to mass production of books and the easier circulation and movement of information and ideas. Scientific and academic movements are particularly indebted to Gutenberg, as his device enabled the easy communication of new studies and breakthroughs. The printing press had an immeasurable impact on the spread of knowledge and learning since the 15th Century. Passed by parliament on 16 December 1689, the English Bill of Rights is one of the most important documents relating to the rise of parliamentary importance. It prohibited certain acts of the monarchy, such as interfering with the law and election of members of parliament, and led to the decline of the rights (and power) of the British monarchy. The bill was also a breakthrough in giving Englishmen new political and civil rights. The Charter of the United Nations was signed on 26 June 1945. Its aim was to create an international body to promote and respect human rights and freedoms without discrimination. Participating member countries were legally obligated under international law to agree to the charter (and future declarations and commissions) and the formation of such an international co-operative force was unheard of and, in the wake of the Second World War, much needed. 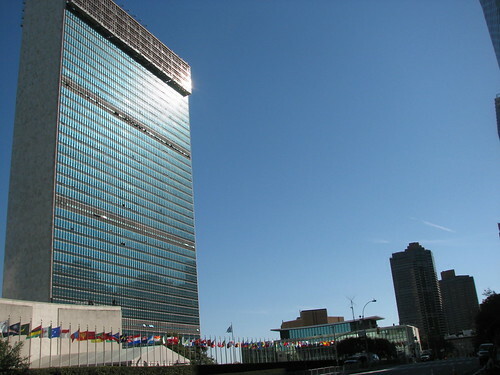 Today, the United Nations still convenes for international diplomacy and co-operation. Inter Gravissimas was a papal bull (a type of charter) decreed by Pope Gregory XIII calling for the reformation of the Julian calendar. The accumulated 10 day errors of the Julian calendar due to inaccurate leap years were corrected, and all future leap years would be correctly identified. This new calendar would eventually be called the Gregorian calendar, and is still used in most countries today. In the aftermath of the Second World War, international bodies sought to update (and ultimately impose) the original Geneva Convention from 1864. The original treaty had tried to protect those who had been wounded in conflict and warfare, but was mostly ignored during wartime. In 1949, an updated from of the treaty was adopted and enforced by international law to protect civilians and establish rights for prisoners of war and wounded soldiers. The treaty is still used as a standard by which modern warfare and conflicts should be conducted. The Declaration of Independence is one of the most important papers in the history of the United States. Adopted by congress on July 4 1776, the document decreed that the thirteen American colonies were independent states and no longer part of the British Empire. The Declaration was the foundation to the independence of the country that would one day become one of the great superpowers. The Civil Rights Act Instated in 1964, the Civil Rights Act was a major turning point in the history of the United States and had massive political and civil impact. The legislation sought to abolish discrimination against women and racial and religious minorities, and the act made racial segregation illegal. It was a landmark document seeking equal and fair rights for many who had suffered from discrimination for decades, and it was a huge victory for the civil rights movement. Jenny is a writer on behalf of Document Options, who supply large format digital printing for SME to large corporations.